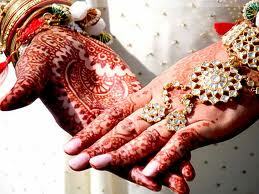 Partner compatibility in a marriage is very important to have a fruitful and long lasting marriage. Many marriages have broken up primarily due to partners not being compatible with each other. Today individuals look at family, wealth and financial security, but most importantly focus on partner compatibility. No amount of wealth or monetary security, fame and status can substitute the incompatibility seen in partners. If partners are not compatible, whatever has been gained will also be lost as there will not positivity in the relationship, no joy, success, and most important love and respect. Instead, one can expect, anger, betrayal, jealousy, back stabbing and other such emotions to rule the relationship. This not only causes havoc in the couple’s relationship, but even affects other members of the family. In order to ensure that partners are compatible and there is possibility of a fruitful and successful marriage, it is essential that marriage compatibility between partners is seen. Based purely on horoscopes, this reading matches horoscopes of two prospective marriage partners to see whether there is compatibility between the two partners. Looking at the natal charts and the ascendant and descendant planets, the astrologer will be able to calculate how compatible is the match.